Specializing in specific non-force structural correction, wellness care and nutrition and allergy elimination. 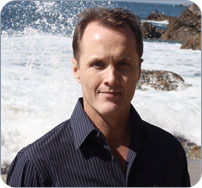 Dr. Ryan has been in active practice as a board certified Doctor of Chiropractic since 1988 with the primary goal being to help patients achieve optimum health and wellness. I have found non-force chiropractic to be a powerful technique to alleviate structural imbalances throughout the body. DR's note… There are so many external distractions in this world it has been the challenge of the ages to simply be still and turn your attention inward. My experience with working with thousands of people over the years, is that the majority of people live in their heads, it's no wonder their bodies hurt! If you ignore the body it will let you know one way or another through disease or dysfunction.